Sankara Healthcare Foundation announces a brand ambassador! Donate towards the maintenance of the wellness on wheels program. 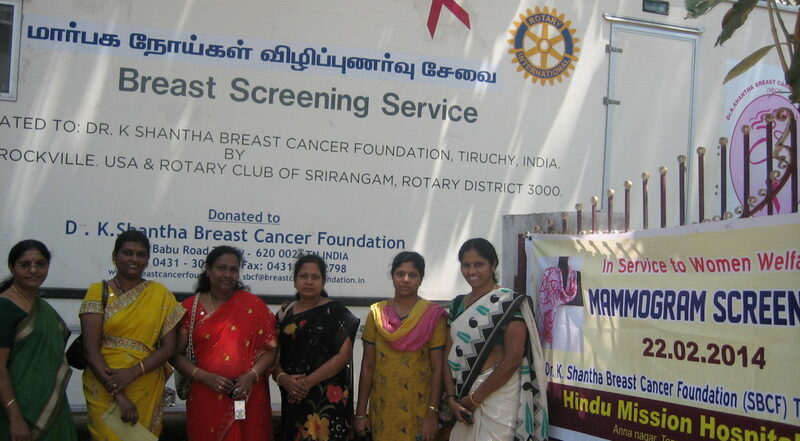 The first program of SHF is to create a full-fledged cervical and breast cancer program at the HMH Trichy in South India. This program has evolved to now being a wellness screening for women, that includes the cervical and breast screens. This program alone will benefit a multitude of women who currently don’t undergo regular screening or pursue treatment options for lack of resources. Those who currently undergo screening also do so at a fairly advanced stage before they seek attention. Villagers face a lot of challenges to get to a screening facility. So, Sankara’s ambitious new program called “Wellness on Wheels” or WOW to take the wellness screening deep in to villages to provide maximum benefit to the citizenry. Globocan 2012 had startling numbers for breast cancer incidence in India, at 144,000 cases, with a mortality of roughly 70,000. Other statistics point to an alarming increase in breast cancer incidence in India, with about 1 in every 28 women set to develop breast cancer in her lifetime. By 2020, breast cancer is set to overtake cervical cancer as the most common type of cancer among all women in India. Sankara Healthcare Foundation, Proudly powered by WordPress.